Terrific suggestions from the founder of Your Autism Coach, LLC on ways you can restore love and romance with your partner when you have a child with special needs. Dr. Debra Moore talks with Dr. Temple Grandin about how to provide loving pushes so kids can become successful adults. A loving dad shares his innermost thoughts on having a son on the autism spectrum. A communication expert and advocate provides excellent ways to help a child handle a birthday party, from opening gifts to saying thank you. Fantastic advice on handling new relationships when you have a child on the spectrum and how to eventually merge families. Learn the value of outdoor learning to child development including pretend play and messy play; includes playtime tips for parents and carers. A licensed psychologist and BCBA shares her tips on finding and maintaining a successful, loving relationship with autism. A licensed speech-language pathologist and BCBA shares easy ways to promote language development. The author of My Picture Perfect Family and mother to a young woman on the spectrum shares her advice on ways to foster communication and lasting relationships. Learn what drives a 33-year-old man with autism who creates his own special artwork to express himself. The founder of CIP, a post secondary program for young adults with autism and other learning differences, provides excellent tips on teaching essential skills for life, school, work, and independent living. Learn about the journey that led one man who worked at a behavioral center for children with special needs to develop a shoelace that simplifies tying shoes. A devoted dad shares the insightful experience he had participating in a special course aimed at educating parents of children on the spectrum. Excellent advice from a mom with a son with autism on ways to succeed when potty training. The creator of The Timms Social Skills Program reviews an amazing new app from Autism Village that is similar to “Yelp” where parents can search local parks, restaurants, therapists, etc. to see if they are autism friendly. First-rate tips on how to prepare your child with autism for a trip, strategies on helping with new situations and wait time, as well as ideas for rewarding behavior. Take a look at a new book coauthored by Janet Lintala with Martha W. Murphy called The Un-Prescription for Autism that focuses on restoring, supporting, and maintaining vibrant health on the autism spectrum. Be sure to read the book called Passion for the Piece as Cyndi Sibley shares her story about coming to terms with her daughter’s autism, enlightened by faith. Excellent tips to consider to aid your child in transitioning from school to summer break. Rosie Linder, CEO/Founder of Peppy Pals, shares the latest news on emotional intelligence and explains the need to arm children with the skills to better understand and deal with their emotions, both positive and negative. 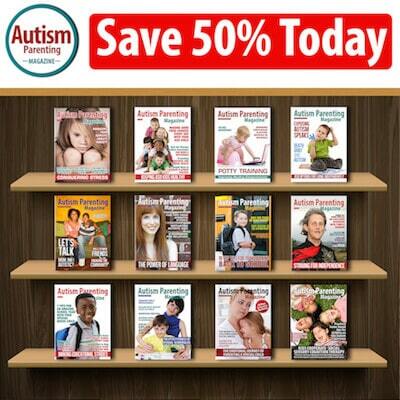 Professional advice on the best way to help your child with autism learn language and maintain it. Simple tips on how to help a young adult with Asperger’s syndrome who is having a hard time controlling meltdowns. Expert advice on a series of steps you can take to secure your child’s future. This delicious chicken dinner can easily be made gluten and/or dairy-free. As millions of kids around the world can barely wait for the end of the school year, thousands of children face a different kind of anticipation — change. Summertime, or really any break in the school year, interrupts routines and schedules and can create anxiety for children on the autism spectrum. And when vacation travel is involved, the angst can be amplified. In an effort to help families with children with autism, we asked Carol Burmeister and Dr. Sheri Wilkins to share their expert advice with us. Take a look at their piece, 7 Simple Ways to Make Travel Easier with Autism as they share valuable tips on ways to prepare your family for a trip. As parents of children with autism well know, finding ways to connect and communicate is vital. Forming healthy friendships, finding new ways to learn, and conquering daily skills can be a challenge for some. That’s why we chose to focus this issue on helping your child learn, connect and form lasting relationships. We are so excited to tell you about a new methodology that promotes educating children without the confines and pressures often associated with the traditional brick and mortar classroom. Please take a look at the article Kids Must Move: New Online Course Uses Movement to Unlock Learning as we interviewed well-known autism experts Rupert Isaacson (author, Horse Boy), Arabella Carter-Johnson (author, Iris Grace), and Jenny A Hewitt, MEd. Based on the Movement Method, this revolutionary concept is destined to change the way all children learn, especially young people with special needs. We also are thrilled to share the sage advice of Dr. Temple Grandin as Dr. Debra Moore, a psychologist who has worked extensively with children, teens and adults on the autism spectrum, shares a recent interview with Dr. Grandin. 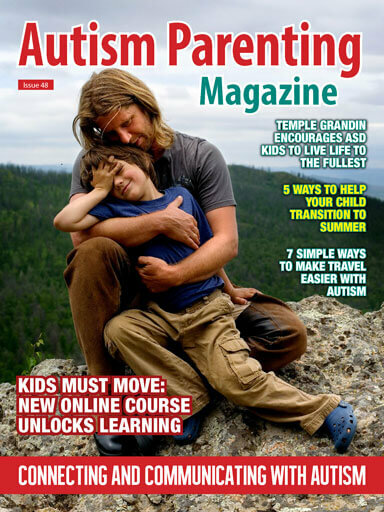 Please read her piece, Temple Grandin Encourages Kids with Autism to Live Life to the Fullest as Dr. Moore talks with Dr. Grandin about how to provide ‘loving pushes’ so kids with autism can become successful adults. Summertime also provides new opportunities for forming new friendships. As Marguerite Elisofon, author of the book My Picture Perfect Family says, helping kids with autism learn how to make meaningful connections is a fly-by-the-seat-of-your-pants experiment, depending on your child’s skills, interests and challenges. Take a look at her piece, 5 Valuable Ways to Help Your Child with Autism Enjoy Relationships as Marguerite shares advice on ways to foster communication and lasting relations with siblings and as well as set up successful playdates. What about finding a life partner? Licensed Psychologist and BCBA Debra Sloane provides excellent tips on finding and maintaining a successful, loving relationship in her article, Ways You Can Find True Love on the Spectrum. Finding a lasting love is achievable, she believes, as long as you understand your own needs and abilities, allow for differences, communicate, compromise, and form a mutual admiration and respect for one another. Sounds like great advice for everyone. Another important aspect to remember when raising a child with autism is the need to nurture your own relationships, your marriage. We are happy to be able to share Deanna Picon’s article Top 10 Tips for Rekindling Marriage When You Have a Child with Special Needs as the author provides helpful ways to revitalize love and romance with your partner. A strong, lasting parental connection is healthy for the entire family. We are always thrilled to be able to offer our families new solutions and tips for daily life. Please take a look at our vast assortment of articles this month that focus on mastering daily skills, from Chelsea Ervin’s Simple Tips for Conquering Potty Time with ASD to Sam Flatman’s piece called How to Help Your Child Develop Social Skills Through Cooperative Play. In addition, we feature an interesting article written by Matthew Aguirre, developer of Rocket Laces, a new product that simplifies tying shoes. We also like to provide answers for our readers. We recently received a letter from a woman in search of advice on how to help her son with Asperger’s syndrome who was unable to manage his meltdowns. Please take a look at Angelina M.’s excellent response in her piece, HELP: My 20-Year-Old Son Cannot Control Meltdowns. And in honor of Father’s Day celebrated around the world this month, we are highlighting a piece written by a loving dad. Be sure to read Jamiel Owens’ personal narrative called Becoming a Father – I Remember the Special Day Clearly as he shares his innermost thoughts on having a son on the autism spectrum. We would like to thank all dads and father figures who share an important bond with a child with autism. Your never-ending support and love is irreplaceable.